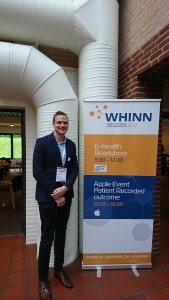 The e-Health roadshow took place 11th of October in Odense as part of the annual Week of Health and Innovation (WHINN) event. The event brings together decision makers, experts, investors, sellers, buyers from across the healthcare industry. 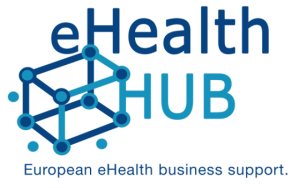 The project eHealth Hub selected 9 European SME’s to pitched their solutions in front of the committee of 9 experts including Peter Frank, General Secretary of ScanBalt. The most promising solutions had to demontrate the innovative high end of their products, their maturity level, time to the market of the new solution, inflection point and growth as well as internationalisation potential. Buddy Healthcare: Buddy Healthcare helps to transform pre- and post-surgical care together with the customers. Buddy Healthcare wants to solve the biggest problems hospitals, clinics and patients are facing in surgeries: patient adherence to treatment, late cancellations and no-shows, administrative work and care quality. SEhatLabs: SEhatLabs delivers intelligent solutions to patient interviews by using T.H.E.A and extracting the relevant data for the nurses. miiskin: Miiskin’s apps are a help in monitoring moles and track changes in order to fight Melanoma.